Slovenian insurance company Zavarovalnica Triglav, set up in 1990, is the controlling company of Triglav Group. Triglav Group posted a consolidated net profit of 85.7 million euro in 2014, up 23% from a year earlier. Consolidated gross written premiums dropped 1% to 888.2 million euro in 2014. The group, listed on the Ljubljana Stock Exchange, is active in Slovenia, Croatia, Bosnia and Herzegovina, Serbia, Montenegro, and Macedonia. Were there signs for a turnaround on the Slovenian insurance market in 2014? When do you expect a sustainable recovery could take shape? The insurance industry is directly linked to the condition and development stage of a given economy. Unfortunately, economic recovery affects our business with a certain delay. The economy in Slovenia, where the Triglav Group generates almost 84% of gross written premiums, as well as in most other countries where the Group operates, showed some signs of recovery and modest growth already in 2014. The insurance business, however, is still influenced by the effects of the long-lasting economic crisis. The purchasing habits of policyholders have changed, the number of policyholders has decreased and the insurance density has dropped. The stagnating insurance market additionally increases competition among insurers, which further affects the volume of written premiums. How did Triglav cope with trends on the Slovenian market in 2014? Zavarovalnica Triglav and the Triglav Group responded to the existing adverse conditions in the Slovenian and foreign markets by adapting marketing and sales policies, launching new products and redesigning the existing ones and both took various measures to improve their insurance technical result in non-life insurance. We are satisfied with our performance in 2014 and have been able to maintain both profitability and financial stability. Our market share in Slovenia increased by 0.3 percentage points to 36.1% last year. How did Triglav Group perform in the rest of Southeast Europe (SEE) in 2014? The Triglav Group, the leading insurance/financial group in the Adria region, performed well on the SEE markets part of its footprint. The Group consolidated its position as the market leader on the insurance markets of Slovenia, Montenegro and Macedonia, as well as sticking to the set strategic guidelines in Serbia, Croatia and Bosnia and Herzegovina. The market share in Montenegro was 38.2%. In Macedonia, where the Group provides only non-life insurance, its market share in that segment rose by 0.3 percentage points to 17% in 2014. With a 3.8% market share as at the 2014 year-end the Triglav Group posted the biggest improvement in its market position in the Serbian market, i.e. by 0.8 percentage points. The Group held a 3.7% market share in Croatia, while in the insurance market of Bosnia and Herzegovina as a whole its share was 7.6%. The insurance markets in the Balkan countries, from Croatia to Macedonia, have potential for growth. Despite challenging economic conditions, most of these markets have experienced growth. Our markets outside Slovenia have different characteristics and require a modified development approach. With this in mind, we are boosting Triglav INT as a holding company, the direct owner of all our subsidiaries outside Slovenia and a corporate governance vehicle. 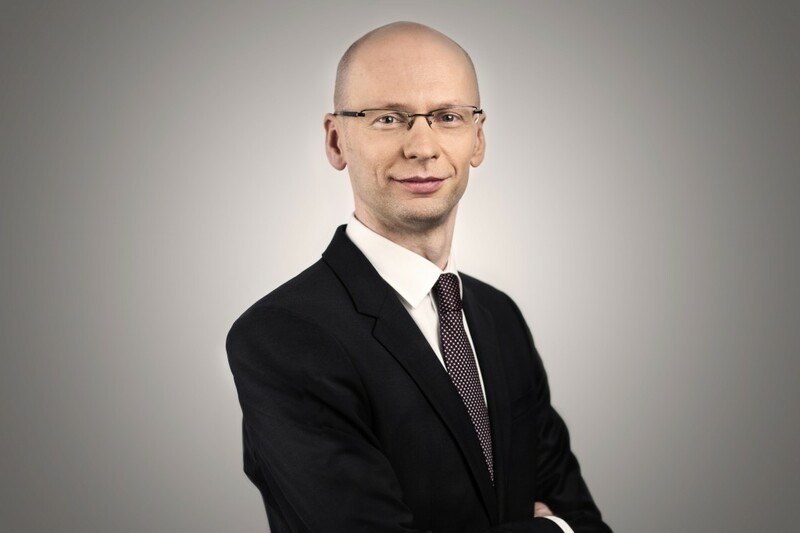 In line with its strategy until 2017, the Triglav Group will continue to consolidate its position in the region through clearly focused activities and develop into the insurance hub of the SEE region. What key trends are emerging on the SEE insurance market? How are they going to affect your business over the medium term? The increased level of competition is the main trend in the insurance markets of the six countries currently covered by the Group. This trend is most visible in the Croatian market as a result of liberalisation of the motor vehicle liability insurance market. Each of the insurance markets in SEE covered by the Group is also affected by the economic conditions and the market development level in any of these countries, as the situation in the region is not uniform. In 2014, the SEE countries posted modest economic growth, with the exception of Croatia, where the recession continued, and Serbia, where it started. Insurance premium per capita as an indicator of insurance market development also shows significant differences. In 2013, it ranged from 960 euro in Slovenia to 280 euro in Croatia, while in other countries of the former Yugoslavia it was between 50 and 120 euro. As already mentioned, we believe that the region has potential for growth in the coming years. The Triglav Group takes into consideration the above-stated facts in its operations in individual markets. As a result of the economic crisis and aggressive competition, the Triglav Group is responding to changed consumer behaviour by taking several measures such as adopting new sales approaches, launching new products, special offers, intensive sales activities in both the internal and the external sales network, amendments and adjustments of the insurance terms and conditions as well as selective risk underwriting. What insurance product categories paced growth on the wider SEE market in 2014? Where do you see untapped growth potential over the near term? In most SEE markets, the Triglav Group recorded growth in several motor vehicle insurance classes, mainly in motor vehicle liability insurance. Some increases were also recorded in premiums from other and real property insurance, especially by attracting new clients. In addition to the Slovenian market, health insurance products grew in Montenegro and Serbia. High health insurance growth was achieved by the Sarajevo subsidiary, primarily as a result of good sales via agencies and banking sales channels. Each of the six countries in the Adria region where the Triglav Group operates has some specific features, which the individual insurance subsidiaries of the Triglav Group take into account to define their strategic guidelines and business plans. In the long run, in Slovenia there is growth potential for health and pension insurance and in other SEE markets two segments will potentially grow. The first segment is non-life insurance (other classes excluding motor vehicle insurance) and various life insurance classes. Life insurance, which in the markets of the Triglav Group is less present than non-life insurance, currently represents a minor share in the Group’s total gross written premium, i.e. approximately 22% at the 2014 year-end. The second segment is health insurance, where long-term growth is expected. When do you expect a consolidation drive in the SEE insurance sector could gather significant momentum? We believe that in some markets the insurance sector will have to be consolidated because the present structure is too fragmented. Unfortunately, it is impossible to estimate when this will happen. The insurance markets in this region, from Croatia to Macedonia, have potential for growth. In line with its strategic guideline, the Triglav Group will continue to consolidate its position in the region and to develop as the SEE insurance hub. That will be achieved through organic growth, strategic partnerships and potential takeovers, the latter depending on any right opportunity that may arise and which we continue to look for.